Tommy Hilfiger Travel Tote Bag for Women Gabby, Geranium-Patent | Accessorising - Brand Name / Designer Handbags For Carry & Wear... Share If You Care! Travel tote bag for women featuring a detachable zip wristlet, luggage tag and gold hardware. Flat bottom, double handles with gold chainlink hardware details. Reversible interior. This Tommy Hilfiger bag is is a versatile essential, perfect for your next work tote. 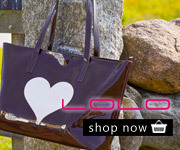 Our tote bag for women is a stylish addition to your collection of travel totes for weekend getaways. 17-3/4″ length; 11-1/4″ height; 6-1/8″ width; 9″ drop. Travel tote bag for women featuring a detachable zip wristlet, luggage tag and gold hardware. Flat bottom, double handles with gold chainlink hardware details. 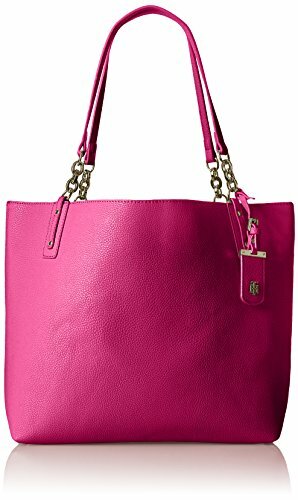 This Tommy Hilfiger bag is is a versatile essential, perfect for your next work tote. Our tote bag for women is a stylish addition to your collection of travel totes for weekend getaways. 17-3/4″ length; 11-1/4″ height; 6-1/8″ width; 9″ drop.